Successfully Added Pan + Tilt IR Dome Camera PAL - Keyboard Controllable to your Shopping Cart. 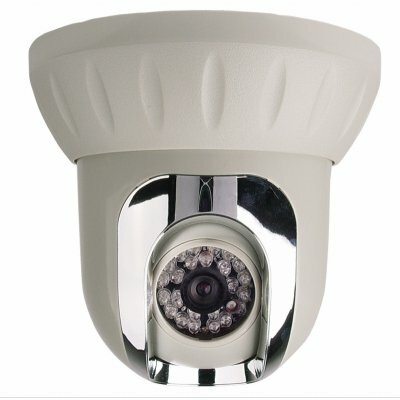 1/3 Inch SONY CCD PAL Dome camera with 24 IR LEDs for night time surveillance, pan and tilt ability, and wiring letting you connect the dome camera to a dome camera keyboard controller for easy and fast control. Some other excellent features include up to 15 meters IR distance, wide angle viewing of 65 degrees, pan of 10 to 360 degrees and tilt of 0 to 75 degrees. With incredible features and abilities, this is a great high end dome camera available direct from China to your doorstep at super low wholesale discounts.